“PARTS KIT”, “PRE-DRILLED KIT" & "ASSEMBLED FLOATS" : What is the difference? The Basic Parts Kit includes all the parts found in the more advanced pre-drilled kit, but it does not include pre-drilled holes. With the detailed assembly manual supplied with the kit, you will need to measure, mark and drill all the holes. The aim of this kit is to provide aircraft owners with the lowest-cost floats possible. Note that to lower this basic kit price even more, things such as angles and channels are not all cut to size. With the Pre-Drilled Kit, factory specialists pre-assemble your floats by cutting everything to size and by drilling almost all the holes. The assembled floats are then taken apart again for easy shipping and final assembly by you. On the 1450# floats, this saves about 75 hours of work per set of straight floats and 150 hours for the amphibious model. Finishing the 1450# Pre-Drilled Kit takes proximately 50 hours for a set of straight floats (and 80 hours for the amphibious model), when assembling the floats with the provided Stainless Steel pull-type rivets (special sealed rivets supplied with the kit). When you get your kit, it will include all the parts, rivets, bolts and everything else you need to assemble the floats. For the amphibious kits, you get the wheel hubs, tires, brakes, hydraulic fittings and lines, electric or manual hydraulic pump, aluminum parts, rivets, hardware, etc. Also includes detailed assembly Auto CAD drawings and photo assembly guides with hundreds of photos. Note: the main and nose wheel systems are not pre-drilled in the kits. When you have building questions, call or email Zenair. When buying the Assembled Floats, Zenair finishes the floats at its factory. All rivets are installed and the floats are pressure tested for leaks. If you ordered AMPHIBIOUS floats, you will still need to install the wheels system with hydraulic lines; the main and nose wheel systems are not installed inside factory-assembled floats. With factory assembled floats, your main task will be rigging the floats to your aircraft. Floats are not painted; see HERE for more info on our rigging kits. *Rigging / Spreader bars kit does not include the hardware and/or brackets for fixing the top of struts to the airframe. Zenair offers generic float rigging kits as well as individual components to facilitate the installation of floats to any light aircraft. Click here for more information - including prices - on our Rigging Kits and specialty fittings. 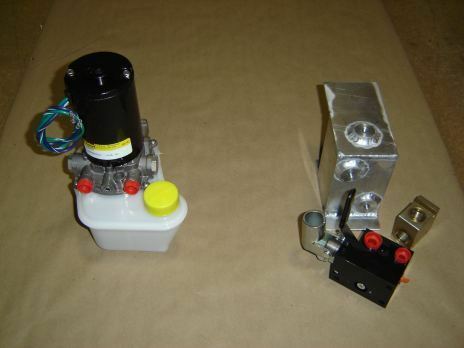 One hydraulic pump (electric or mechanical) is already included in the price of the our amphibious kits. Optional back-up pumps (electric or mechanical) are available separately; either or both can be used. Please specify quantity and type desired when ordering. Cost of a back-up pump kit (electric or hand-pump) with fittings is $900.00. Left: Electric hydraulic pump (6.5 lbs). Right: Mechanical hand-pump & reservoir (2.5 lbs). These easy-to-install black pop-in plastic caps are used as plugs for the standard 1 3/4" drain holes on all Zenair float sizes. Sold in batches of six (6) and shipped in a padded envelope. Zenair's unique custom-extruded keels provide strength and resilience and are installed on the front half of all Zenair floats. This keel material (6061-T6) may be purchased separately for repairs, replacements or special projects. It is sold "straight" to facilitate shipping (but can also be custom-curved to match your Zenair floats - call for details). Max. length is 9 feet. 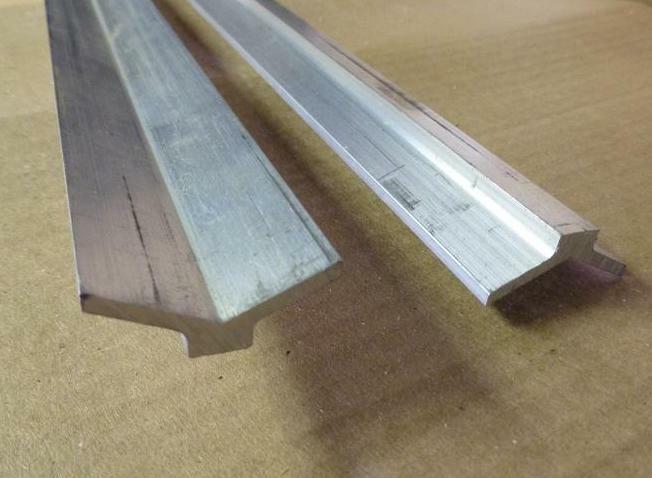 FL-32-RAW.......................EXTRUDED ALUMINUM KEEL..........................$18.00 / ft.
Crating costs for the 1150 & 1450 lbs float kits. For the parts and pre-drilled kit, box size is approximately 3' x 2' x 9'. Weight is 500 lbs. Crating costs for the factory built floats. Box size is approximately 4' x 4' x 16'. Weight is 700 lbs. Pre-drilled kits are assembled at Zenair. Customers can pick-up the floats as show or disassembled and crated. Customer from Maine USA picking up his pre-drilled 1150 lbs amphibious kit from Zenair. Pre-drilled kits can be picked-up cleco'd together as shown - or disassembled and crated. For US customers, complete floats or kits can be picked up from Zenith Aircraft in Mexico MO w/out shipping costs. Designed tough, light and priced right! The "Building your Zenair Floats" DVD is a great tool to assist with the jigging and assembly of a Basic Parts Kit (BPK). In addition to the DVD, you will also have the complete set of CAD assembly drawings and the numerous photo assembly instructions supplied with the kit to follow. With a pre-drilled kit, the factory pre-assembles the floats and all the holes are drilled. When you get a pre-drilled kit, you can start riveting as soon as the holes are de-burred. No measuring, no marking... Simply line up the parts and start riveting after applying corrosion-protection and sealer between the parts.